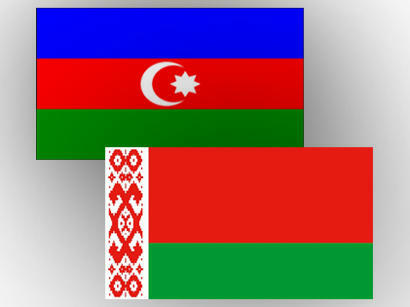 Azerbaijan and Belarus can further increase mutual trade by using the cooperation opportunities in various fields. Belarus and Azerbaijan have a powerful scientific, technical, technological and production potential that must be actively used to develop bilateral cooperation, Belarusian economist Anton Gurevich told Trend. He said that Azerbaijan and Belarus have real opportunities and potential for expanding cooperation in the field of high technologies. The expert noted that Belarus is interested in implementing joint projects with Azerbaijan on mutually beneficial conditions, and as a result of this, the parties closely cooperate in the field of machine engineering, in particular, to expand the assembly sites for Belarusian MTZ tractors and MAZ vehicles that are already operating in Azerbaijan. Azerbaijan is one of the important and reliable economic partners of Belarus, and more than 250 companies are involved in the bilateral trade, and they carry out deliveries regarding hundreds of commodity positions, Gurevich said. “More than 40 Azerbaijani companies are dealers and distributors of Belarusian companies in Azerbaijan,” he added. He noted that in parallel, the interaction in the areas of industrial cooperation and services, in the investment area is intensifying. Gurevich noted that both parties might benefit from the creation of joint technology parks, as well as the expansion of exports on the supplies of industrial products to other countries. Last year, the trade turnover between Azerbaijan and Belarus was about $ 204 million, which is approximately $ 56 million more than the figure of 2017. However, the volume of trade between Azerbaijan and Belarus reached $ 60 million in January-February this year. The import from Belarus to our country amounted to $ 55.9 million, while the volume of export from Azerbaijan to Belarus was $ 3.3 million. Products of the machine engineering industry, petrochemistry, woodworking, pharmaceuticals, military-technical cooperation made up the main Belarusian export items to Azerbaijan. In turn, Azerbaijan mainly exports to Belarus petrochemicals, vegetables, fruits and other non-oil products. Diplomatic relations between Azerbaijan and Belarus were established in 1993, but cooperation in the economic sphere has been developing dynamically in the past decade. Azerbaijan and Belarus also interested in the development of cooperation pharmaceutical field. It is planned to build a big pharmaceutical enterprise in Azerbaijan through Belarusian investments. Belarus is interested in the North-South project and the Baku-Tbilisi-Kars railway, and aims to create a railway route Minsk-Baku. Recently, Belarusian Railways and the Azerbaijan Railways CJSC signed an agreement on mutually beneficial cooperation for the interaction of the railways of the two countries to contribute to the development of the International North-South Transport Corridor. Belarus and Azerbaijan are further developing cooperation in machinery equipment that is holding a special place in bilateral economic relations. So far, more than 10,000 Belarusian tractors and specialized equipment have been assembled at the Ganja automobile plant. Belarus will also supply electrobuses to Azerbaijan. Earlier, the Ganja Automobile Plant signed an agreement with the Belarusian company OJSC “Holding management company "Belkommunmash” for the supply of component electric buses to and their assembly in Azerbaijan. An assembly line of Belarusian-Azerbaijani tractors is planned to be launched during the first quarter of 2019 in Turkey. The Minsk Tractor Works (MTW) OJSC signed a new contract with Ganja Automobile Plant in Azerbaijan on September 22, 2017, for a supply of tractors to Azerbaijan along with an additional protocol on jointly entering the Turkish market. Up to 5,000 units of tractors are planned to be manufactured in Turkey. The design capacity that will be implemented during the initial stage will be up to 2,500.